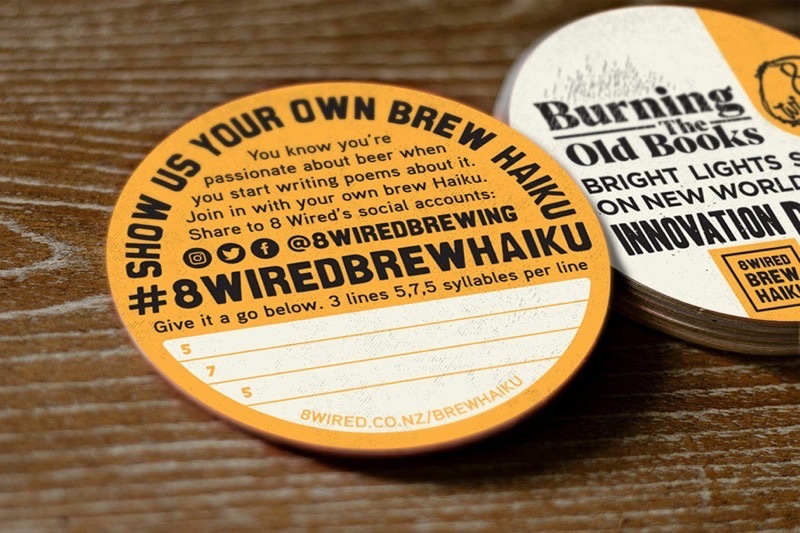 Warkworth's 8 Wired Brewing asked if we could produce some low-cost coasters for their Brew Haiku promotion. So those passionate about beer could start writing poems about it. We digitally printed a few thousand of these coasters on a 350gsm offset stock then diecut them to the circle shape.